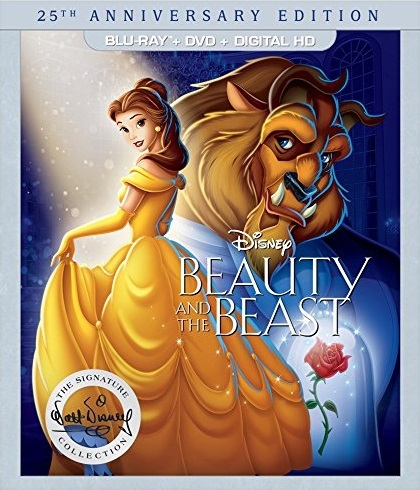 One of the biggest movies in Disney history, Beauty and the Beast has already been released to Blu-ray, but it’s being re-released as a 25th Anniversary Signature Edition. 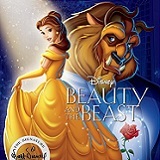 With its incredible blend of traditional animation with computer generated images, Beauty and the Beast was the only animated movie to ever be nominated for an Academy Award for Best Picture until the Disney/Pixar release of Up eighteen years later. All in all, the movie received two Academy Awards for music in 1992, three Golden Globes for Best Motion Picture, (the first animated movie to do so), Best Original Score, and Best Original Song in 1992, and two Grammy Awards in 1993. Beauty and The Beast was also the first Disney animated film to inspire a Broadway stage production by the same name. In addition to the film’s fantastic music by Alan Menken and Howard Ashman, seven new songs were written for the stage musical. The resulting stage production was nominated for nine Tony Awards in 1994 and ran on Broadway for 5,464 performances until 2007, becoming Broadway’s sixth-longest running production in history. The film opens in a small provincial French village during the late 18th century, and a lovely young woman named Belle (Paige O’Hara) really doesn’t fit in there and finds an escape by reading books. The villagers think that she is odd and and they have an even worse opinion of her father Maurice (Rex Everhart) who is an eccentric inventor. They do however love the boorish village huntsman named Gaston (Richard White), who along with his sidekick LeFue (Jesse Corti) has been courting Belle despite her lack of interest. Gaston, one not used to being refused anything, decides that Belle will marry him no matter what it takes and begins to plan his wedding ceremony. Meanwhile, Maurice has finally perfected his automatic wood chopping machine and wants to take it to the fair to show it off. He leaves Belle but quickly becomes lost in a mysterious forest and ends up seeking refuge in what appears to be an abandoned castle. What Maurice doesn’t realize is that this is an enchanted castle where long ago a Prince (Robbie Benson) was transformed into a Beast by an enchantress for refusing her request for shelter in exchange for a rose. Because of that, the Price wanders the castle as a monstrous beast and the only way he can remove the curse is to find someone that he can learn to love and who will return his affection before the last petal falls from an enchanted rose. If no one is found before the last petal falls, he and his servants will remain transformed forever which is very unfortunate for his innocent servants who have been transformed into animated household objects. When Maurice enters the castle, he quickly discovers some of the enchanted servants including Lumiere (Jerry Orbach), Cogsworth (David Ogden Stiers), Mrs. Potts (Angela Lansbury), and Chip (Bradley Michael Pierce) who give him food and try to help him. When the Beast discovers the unwanted visitor being taken care of, he angrily throws Maurice in his dungeon. When Belle realizes that her father is missing, she mounts a rescue mission and finds the enchanted castle herself and her father down in the dungeon. Once again, the Beast is furious at another intruder but when Belle offers to take her sick father’s place if the Beast will let him go, the Beast agrees but with the caveat that she will promise to never leave the castle. Maurice is sent back to the village while Belle and the Beast begin an uneasy companionship which doesn’t start well when he demands that she join him for dinner and she refuses. The Beast also orders Belle to never go into the south wing of the castle and of course she does only to discover a trashed room and the enchanted rose which infuriates the Beast. Belle runs away only to be attacked by wolves and almost killed until the Beast comes and rescues her and is injured as a result. Touched by his protection of her, Belle returns to the castle and nurses him back to health. Lumiere and the rest of the servants do their best to help their master control his anger and learn to love while Belle starts to see the kinder side of the Beast and the person inside. Back at the village, Maurice begs the villagers to help him rescue Belle from the Beast and he is mocked and called crazy for his wild claims. Although Gaston dismissed Maurice’s claims, he begins plotting a scheme where he would bribe the authorities into declaring Maurice to be insane unless Belle marries him. Desperate to save Belle and receiving no help from the villagers, Maurice heads back to the castle to rescue Belle alone. What he doesn’t realize is that things are going well between the Beast and Belle as they have developed feelings for each other and the Beast has even given his entire library to her which is a dream come true for her. As happy as she is about the library, the Beast knows that Belle is still sad about her father and lets her look into a magic mirror to see him again only to discover that her father has failed his rescue attempt and has collapsed and is near death. Belle begs the Beast to let her return to her father and he allows her to break her promise even though he is aware that it will cost him his one chance to regain his human form. Belle returns her father back to the village but when she refuses Gaston again he puts his plan into motion and they come to take Maurice away to an asylum. To prove that her father isn’t insane, Belle produces the mirror to show that the Beast really exists and that she cares for him. This drives Gaston mad and he sends the crowd into a frightened frenzy with lies about how dangerous the Beast is. The villagers lock up Belle and her father and set out to kill the Beast. Of course being that this is a Disney movie, Belle will attempt to rescue the Beast and perhaps help end his curse and live happily ever after, because this is a fairy tale after all. This movie was part of the “Disney Renaissance” that started with The Little Mermaid and continued on after this movie. This movie successfully combined the artistic sensibility of Disney with the staging and showmanship of Broadway. Combining animation with computer generated graphics allowed Disney to do highly choreographed sequences never before attempted that made the movie look more like a big budget live action musical brought to life. By using the limitless flexibility of animation and live action angles and techniques, it brought out the best of both worlds and expanded the expectations of what an animated movie could be. The movie is even better with the fantastic lyrics from the late Howard Ashman and the lush music by Alan Menken and it just put this movie over the top. The Ashman/Menken team was a powerhouse for Disney and they had already had considerable success with The Little Mermaid and would again later with Aladdin. Beauty and the Beast is a landmark Disney movie and easily is one of the best along with the other legendary Disney movies. 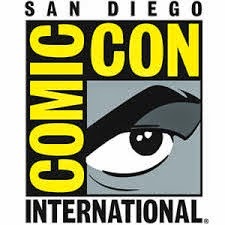 It is more adult than most of the Disney movies up to that point and led the way for a new direction for the company. This is the same transfer that was part of the Diamond Edition set, but that's ok as this 1080p transfer looks great. The colors are vivid, the blacks are solid, and the detail is magnificent. This looks better than it did in the theaters! While I wish they had included the previously released 3D version with this set, the regular Blu-ray version is also amazing and would have been more than enough to make me happy if I hadn’t already seen the 3D version. This 1080p/AVC encoded transfer is perfect with no dirt, scratches, uneven colors, or anything else. Another perfect score for Disney! This brand new DTS-HD Master Audio 7.1 surround track is absolutely awe-inspiring! Every channel is used with this new mix and you will hear every detail coming at you from every directions. The crisp dialogue comes in nice a clear between your front speakers while the Beast will give your sub-woofer a chance to shine with his growls low voice. It’s nice to have a movie that doesn't just use the rear speakers on occasion as this one has them utilized throughout the movie. Thanks to this new sound mix the songs have never sounded better or as enveloping as they do now. Crank the sound up for the “Be My Guest” number and sit back and enjoy perfection! This movie has been released twice before on Blu-ray and each one has had different extras included. For this release, it may be the oddest yet as all of the previous extras have been included but only for the digital copy version. If you want to see them, you will need to unlock the code on Disney Movies Anywhere to access them. While I love the fact that they're finally including extras as part of the digital movie copy, I'd prefer to have them on disc and digital. The new extras are included on on the physical disc. We also get three versions of the movie included - the Original Theatrical Edition and the Special Extended Edition, as well as a sing-a-long version of the Theatrical Cut. The extras are in high definition. Always Belle - An eleven minute talk with actress Paige O'Hara about her role as Belle and his association with the character and Disney. She also discusses her past past, how she got the role, performing on stage and voice work, he new career in art, and working with the late Howard Ashman and more. Menken & Friends: 25 Years of Musical Inspiration - We get to hear from the current in demand Disney musicians Robert Lopez, Kristen Anderson-Lopez (Frozen), Lin-Manuel Miranda (Moana), Stephen Schwartz (Enchanted), and Alan Menken (Beauty and the Beast, Aladdin &more) talk about the film and to sing songs from it. #1074: Walt, Fairy Tales & Beauty and the Beast - Don Hahn and Becky Cline share the tale of how a trip to Europe got Walt Disney interested in fairy tales and how he wanted to make a Beauty and the Beast movie and assigned it as story number 1074. The Recording Sessions - Here are some glimpses of the recording sessions that were used to not only capture the voice of the character, but also provided some visual aids in the portrayal of the characters for the animators. 25 Fun Facts About Beauty and the Beast - As usual, Disney does some promotional synergy by adding in some of their Disney television stars into the extras, in this case a rundown of facts about the movie. This time they've got "Stuck in the Middle's" Kayla Maisonet and "Best Friends Whenever's" Gus Kamp handling the hosting duties. Beauty and the Beast Sneak Peek - I know a lot of people are excited about the upcoming live action remake of this movie and Disney has provided about a minute and half sneak peek into it. Song Selection (Sing-Along Edition) - If you love singing along with the movie, then you should definitely watch the sing-a-long version which lets you sing along to: Belle, Belle (Reprise), Gaston, Gaston (Reprise), Be Our Guest, Something There, Beauty and the Beast, The Mob Song, and Beauty and the Beast (Reprise). Audio Commentary (Extended Edition) - This is the same commentary that was included on the previous edition. It features directors Kirk Wise and Gary Trousdale, producer Don Hahn, and composer Alan Menken. It’s not only informative, but it's also funny. Classic Bonus Preview - This is here to entice you to watch the rest of the extras digitally and how to redeem your code. Digital Extras - If you'd like to learn more about the previous extras that have been ported over from the last release, please click here to read my review of the Diamond Edition set. The earlier Blu-ray release of this movie was the first one to receive a perfect score across the board from me but this new Signature Collection is also fantastic. While I still prefer the earlier 3D version included in the Diamond Edition, this set offers some amazing picture and audio quality along with some new extras. If you have the Diamond Edition, I'd say that there's no reason to upgrade to this version, but if you missed the last release then you should definitely pick this one up!